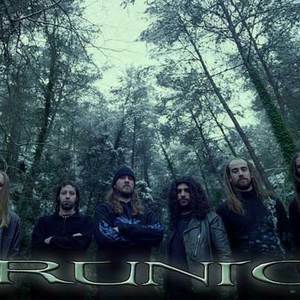 Runic is a viking metal band formed in 2001 in Castell?n, Spain. Using medieval instruments such as the bagpipe and hurdy gurdy, they have been able to create a sound some consider melodic death metal, epic death metal, viking metal and even pagan metal. Many of their songs are thematically based on pagan tales and fantasy. In the same year they formed, Runic released their demo "Awaiting The Sound Of The Unavoidable" and later released their famed "Liar Flags" album under Erzebet Records in 2006. In the same year they formed, Runic released their demo "Awaiting The Sound Of The Unavoidable" and later released their famed "Liar Flags" album under Erzebet Records in 2006.